- For regular use, apply a few drops to wet or dry hair before styling hair as normal. - For use as a re-conditioning intensive treatment, massage up to one third of a bottle into the hair and cover with a foil or shower cap. Leave on for at least 40 minutes to restore strength and moisture to your scalp and hair. Tip: Use before exposures to the damaging effects of salt, chlorine and the sun. I’ve been struggling to find a product to thicken my hair but with this product I’ve finally found what I’ve been looking for. I currently use the ds laboratories shampoo and conditioner which I have no complaints about but I have been missing that one item to densify my hair and this is the one. 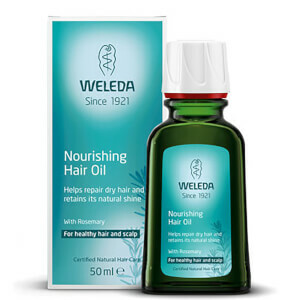 The ds laboratories is great for stabilising hair and regrowth but this is the one to give my hair that full body look, very pleased, and going to try the other Weleda hair treatment but failing that I will definitely be coming back to this one. It’s a bit vague how to use it but I use it as a 40 minute leave in treatment, then shampoo and conditioner afterwards. Very pleased.